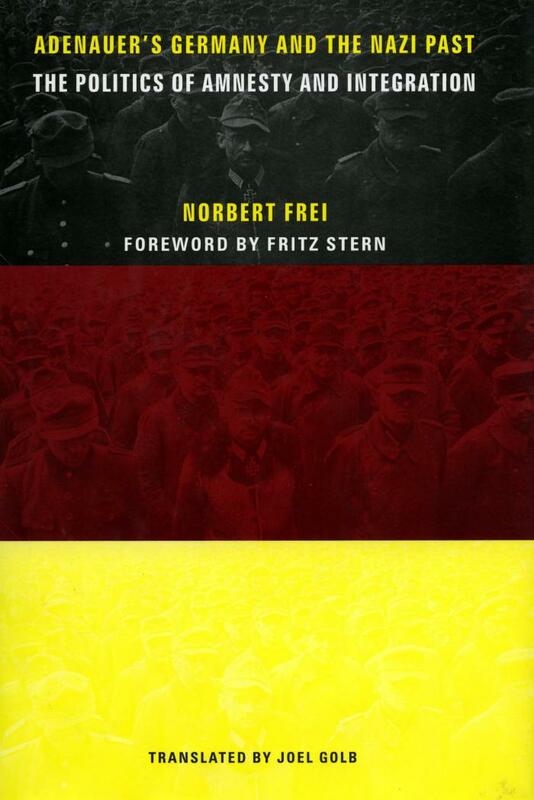 Statement of ResponsibilityNorbert Frei ; translated by Joel Golb. ContentsIntroduction -- PART I : A Legislation for the Past: Parliamentary and Administrative Junctures -- 1. The Amnesty Law of 1949 -- 2. The "Liquidation" of Denazification -- 3. The Rehabilitation and Pensioning of the "131ers" -- 4. The Amnesty Law of 1954 -- PART II : A Past-Political Obsession: The Problem of the War-Criminals -- 5. The War-Crimes Issue Preceding the Bonn Republic -- 6. The Politicization of the War-Criminal Question -- (1949-50) -- 7. The Debate Under the Sign of Rearmament -- (1950-51) -- 8. A "General Treaty" instead of a "General Amnesty" -- (1951-52) -- 9. The Windup of the War-Criminal Problem -- PART III : Fixing Past-Political Limits: Judicial Norms and Allied -- Intervention -- 10. The Hedler Affair and the Establishment of Criminal-Legal Norms (1950) -- 11. The Rise and Banning of the Socialist Reich Party -- (1951-52) -- 12. The Naumann Affair and the Role of the Allies -- (1953) -- Conclusion.